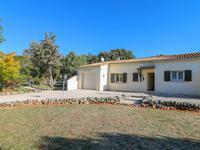 Built in 1970, nicely renovated in 2000, this is a pretty property nestled at the top of the . . . Unique opportunity to co-own 2/8th of a luxurious French farmhouse. 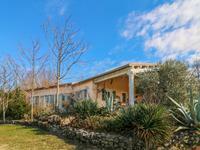 Single level 3 bedroom detached stone villa of 142 m² with garden in charming village near Uzès and Pont du Gard. Relaxing holiday house or for permanent residence. 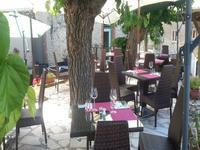 Situated in nice village with restaurant . . . 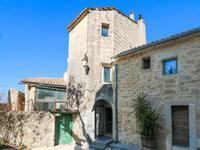 This lovely stone house forms part of an old “mas”, built in the beautiful St Paul La Coste . . . This 1950s stone house was designed to reflect italian style. It has a wide, sunny and . . . This village house has great potential, with lots space and options for restoration. This spacious and very light house build in 2004 with double glazed windows through out, . . . 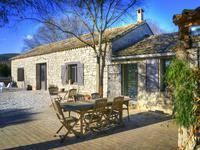 Village stone house situated in pretty village with shop and restaurant, in tourist popular . . . 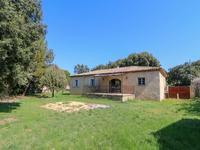 This detached house in two levels build in 2010 is situated only 5 km from Alès in very calm . 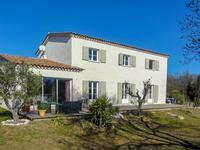 . .
Mus, between Montpellier and Nimes, Traditional villa 152m2, 4 bedrooms, 25min. Rare ! 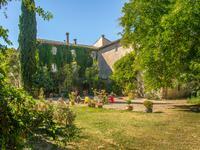 Quiet, in a residential and wooded setting, commune of Mus, between Nimes and . 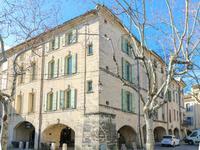 . .
Full of character, pretty town house with exceptional views in the heart of vibe town Sommières. 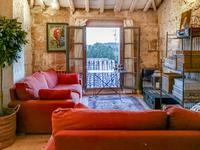 In the centre of the medieval town is situated this very light, renovate stone house with . . .
Full of character stone house in 3 levels with double glazed windows, overlooking the Place . . . Stunning character stone house (200 m²) with 4 bedrooms, 3 bathrooms with private garden with the pool in charming village near Uzès and Pont du Gard. 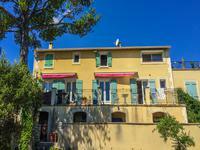 This south facing spacious house is located in beautiful and calm corner of charming village. . . .
Leasehold of a gîte and restaurant complex in a village classified as the most beautiful . 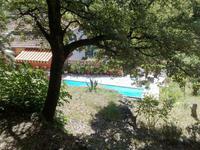 . .
Detached house (205 m²) in two levels with 5 bedrooms, 2 bathrooms , in quiet residential area south of Alès. 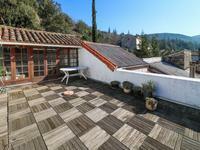 This spacious house in two levels with garage build in 1968 is situated in south of Alès in . 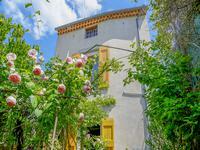 . .
Pompignan, magnificent character house of 195 m2 with swimming pool on a park of 17 000 m2. St hippolyte du fort, near the Cévennes and halfway between the sea and Mont aigoual, this . 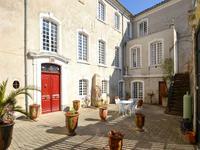 . .
Full of character 2 storey house from 19th century (220 m²) with courtyard, garage, in nice village with a good connection to Nîmes. 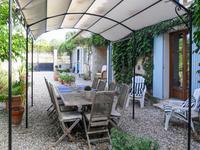 This spacious, very light stone house is located in charming village north of Nîmes with its . 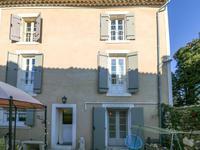 . .
Saint hippolyte du fort, This charming town house with its small garden and outbuilding will . . .
Countryside detached house, well insulated, double glazed throughout with potential to build . 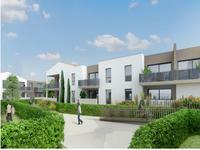 . .
Domaine d'Heracles is a residential complex of 58 apartments from T2 to T4 located in the . . . LE DOMAINE D'HERACLES is a residential complex of 58 apartments from T2 to T4 located in the . . .
Great opportunity for stone house 180 m² recently renovated with private courtyard in charming village with all amenities, 15 km from Uzès. 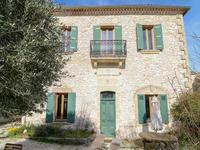 This stone house with a lots of character in 3 levels is situated in calm part of charming . . . 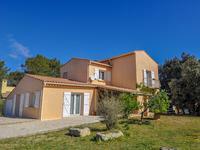 Spacious 2 storey villa (230 m²) with 5 bedrooms, 4 bathrooms in quiet area north of Nîmes on 3 000 m² garden with spectacular pool. This spacious and very light house is located in beautiful and calm residential area, only 5 . . . 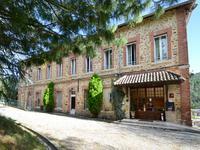 This beautiful miniature chateau, with a magnificent inner courtyard, has over 20 rooms, many . . . This lovely Scandinavian style house is the fusion of an old stone cottage, and a new wood . . . 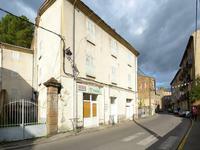 This village stone house to be renovated is in quiet area of the old part village, could be . . . 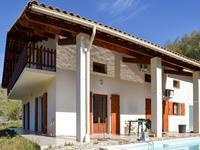 This pretty villa was originally built in 1976, but has been extended and renovated to a very . . . This attractive house is set in a very pretty and quiet location, with a far ranging view, . 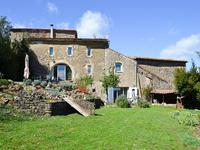 . .
Near Anduze, this very spacious and light, full of character stone house is in very calm . . . 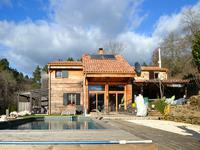 Magnificent Cévennes stone complex of farmhouse and hamlet, gîtes and B&B, pool, stunning views. 34 acres of glorious countryside. 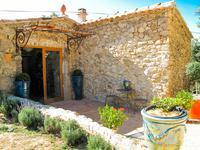 Fantastic Cévenol stone gîtes and B&B farmhouse with hamlet set in the heart of the Cévennes . . . Village stone house with swimming pool and garden, lovely view, two bedrooms, needs some renovation, Uzès 14 miles, Nimes 30 miles….great potential. 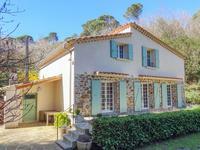 This attractive stone village cottage was originally renovated around 20 years ago but needs . . . Here you have the possibility of creating a wonderful loft style house from the barn (old . . . Spacious, very light house on two levels built in 1998 with garage, garden and swimming pool. . . . 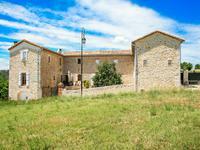 Built circa 1700, this mill has been renovated with great respect for the authenticity of the . . . This wonderful character stone house renovated with taste, well insulated, double glazed . . . Built in 1600, this is a beautiful family story around a Mas that has been passed from . . . This villa with double glazing windows throughout could be your ideal holiday house or for . . . Built between 1650 - 1800, this is a magnificent three-storey residence with beautiful . . . In an absolute amazing natural setting, overlooking the most beautiful country side of the . . . The opportunity is finally here to purchase one of the most exceptional properties on the . . . This spacious and very light house, built in 1996, is on two levels with cellar, garage and . . . Prestigious entirely renovated property of 485 m² with 11 ensuite bedrooms. 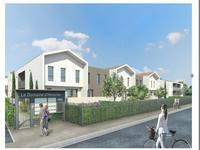 Opportunity to renovate extra 500 m² of annex buildings. 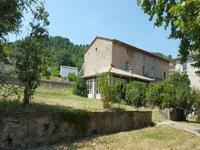 Superb spacious house with private not overlooked garden with swimming pool, near medieval . . .